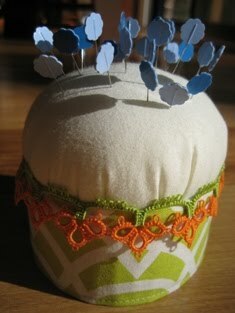 Here is my version of the pin cushion from the tutorial section at 'crazy mom quilts' by AMANDAJEAN. I have added a tatted edge to make the seam between the cushion and the tin look neat and pretty. 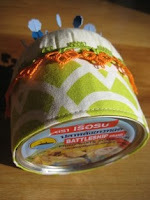 I'm following AMANDAJEAN's Blog and have been admiring her quilts and creative ideas.